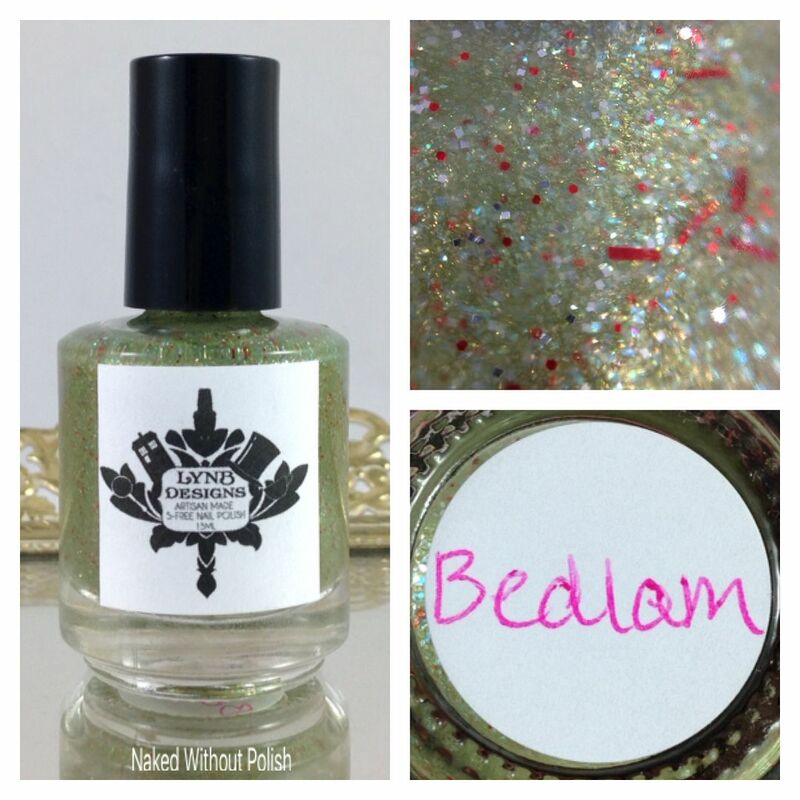 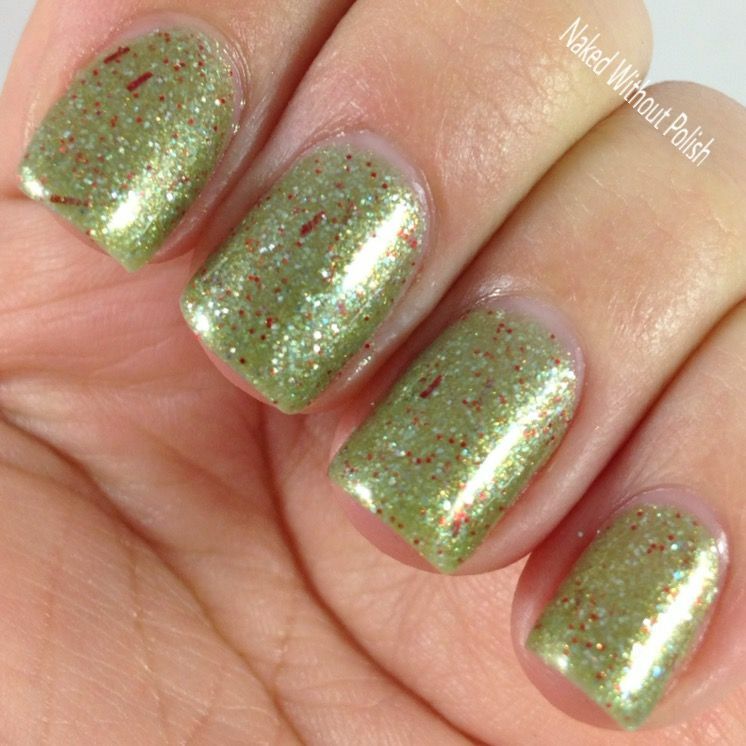 Bedlam is described as "a sheer yellow-green jelly with golden shimmer, red bar glitter, silver glitter, and micro iridescent flecks". 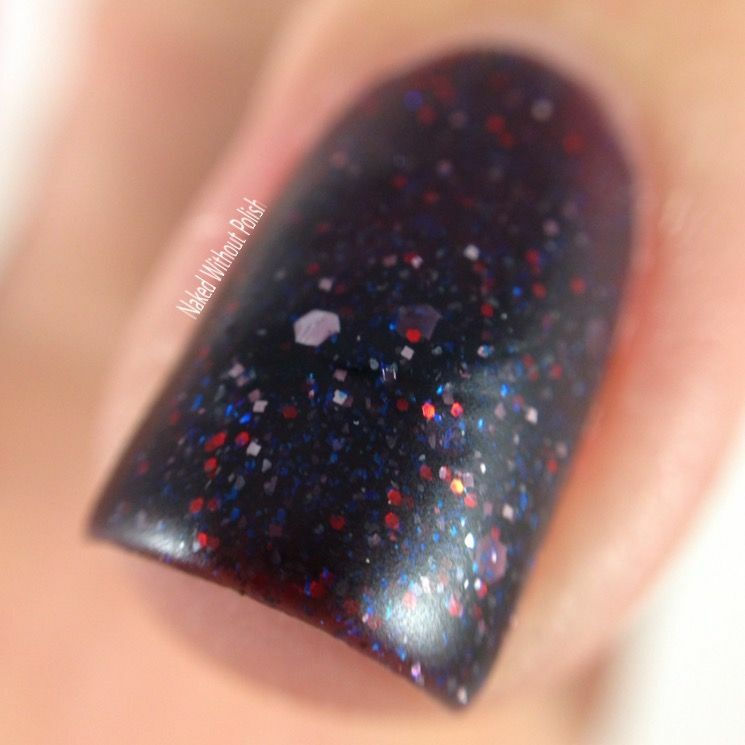 Shown is four coats of Bedlam. 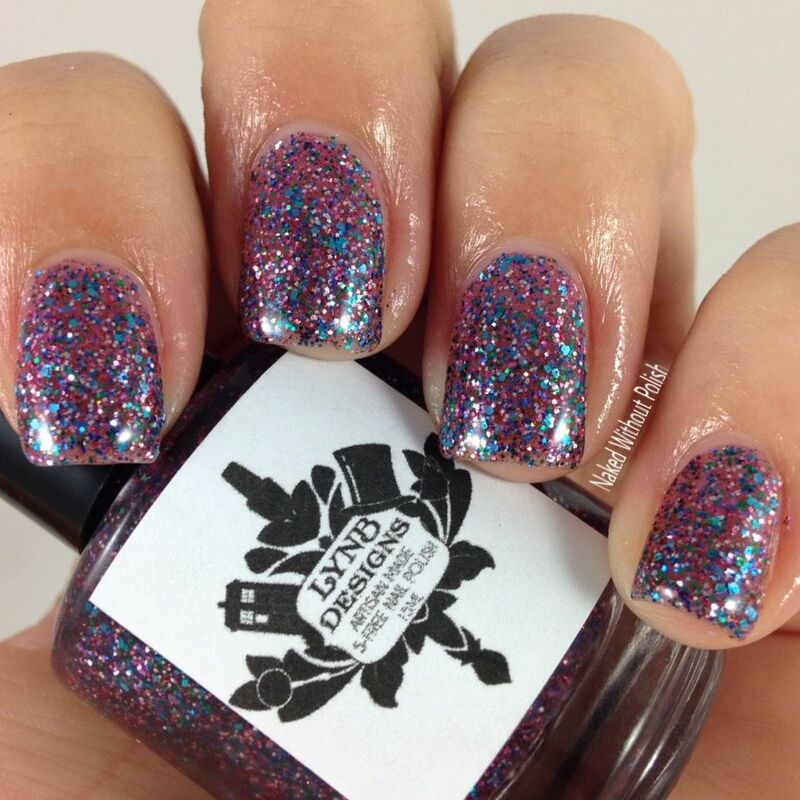 Strumpet is described as "an orange-y pink cruelly base with black, red, white, and iridescent glitter". 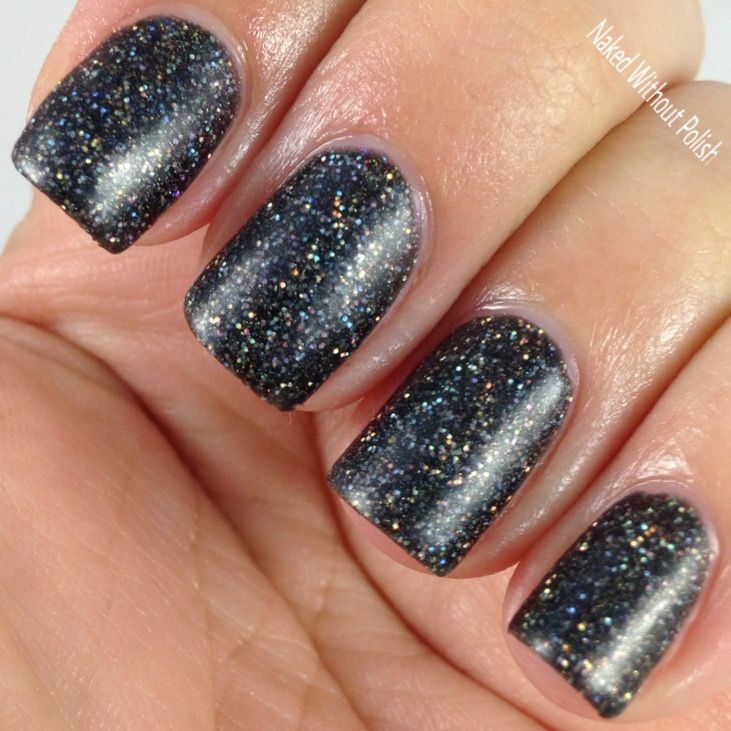 Shown is two coats of Strumpet. 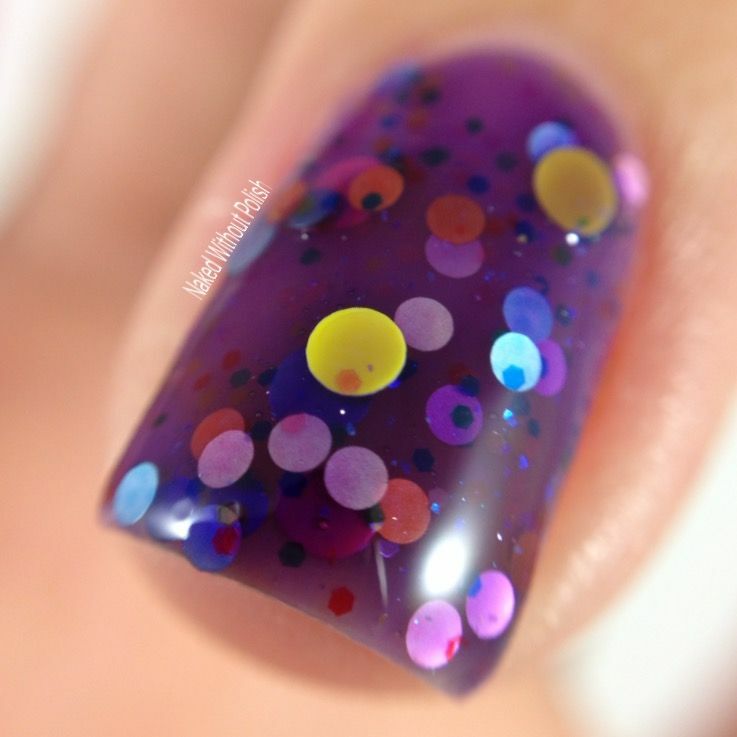 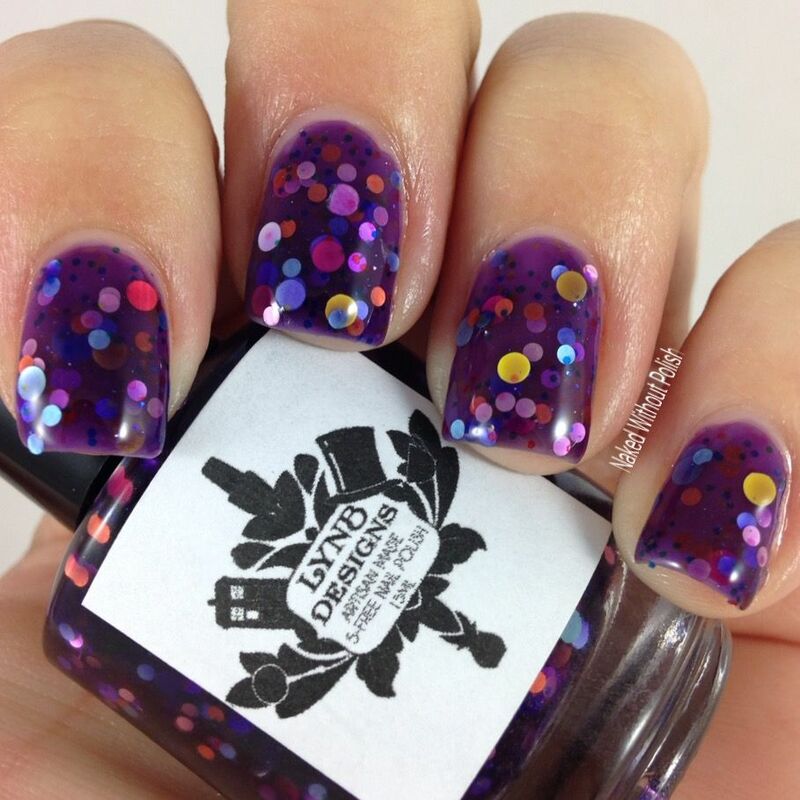 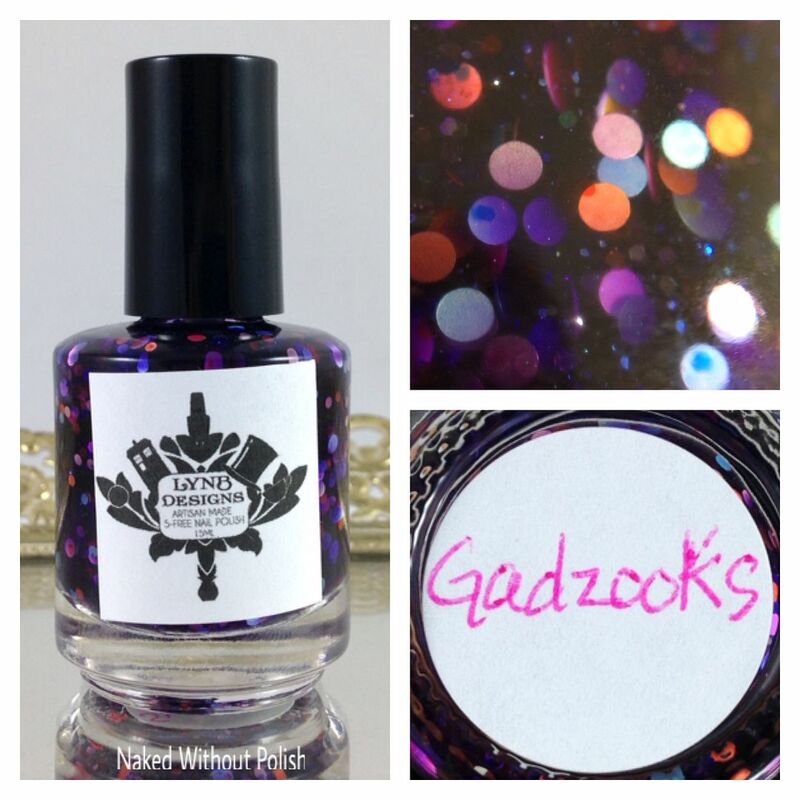 Gadzooks is described as "a purple jelly base loaded with small iridescent hex and dots in multiple colors and sizes". 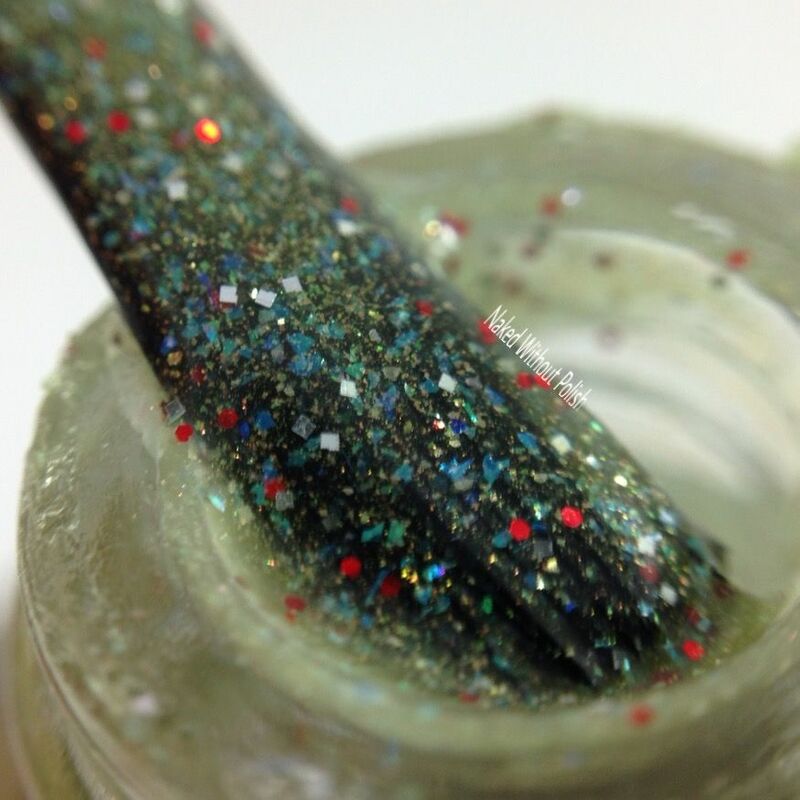 Shown is three coats of Gadzooks. 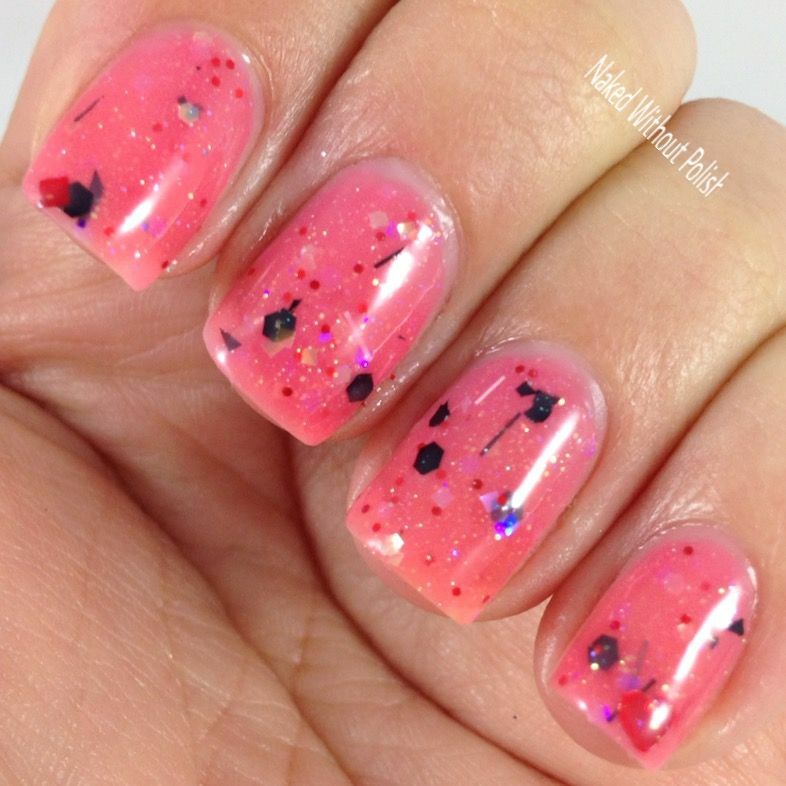 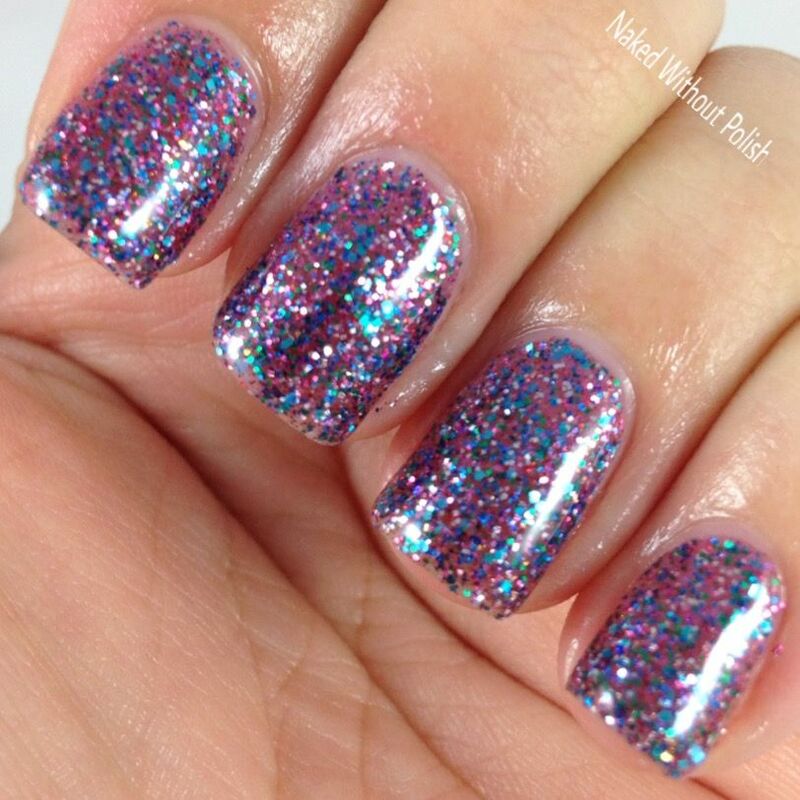 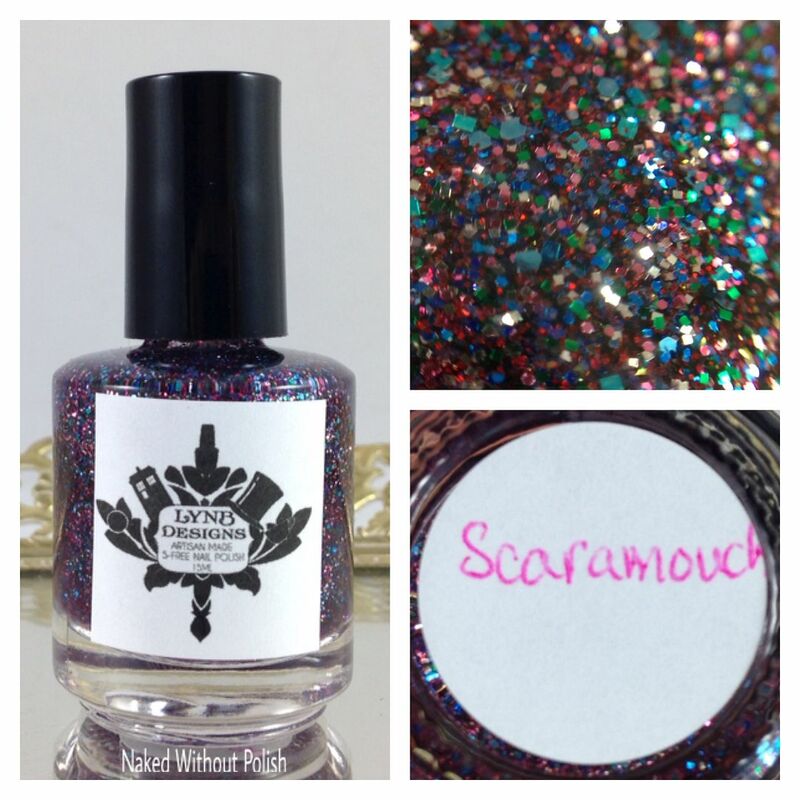 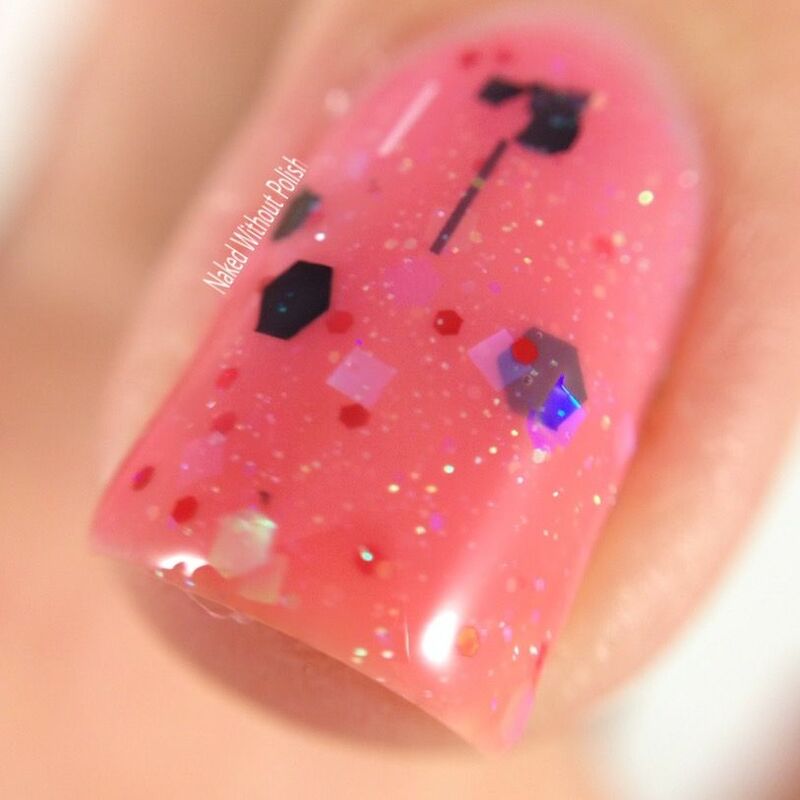 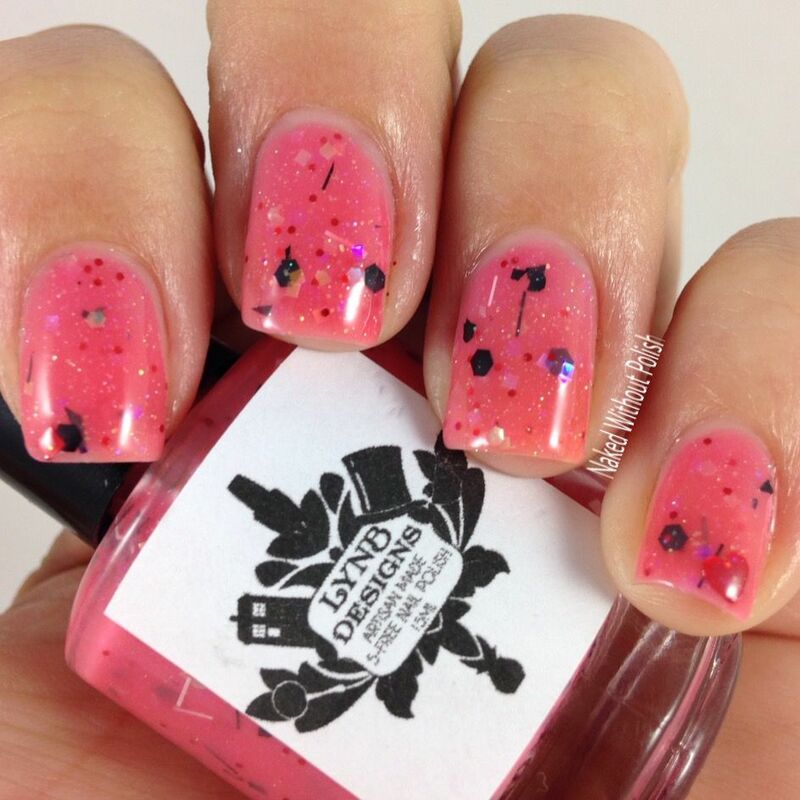 Scaramouch is described as "a pink jelly base loaded with micro glitter in multiple colors". 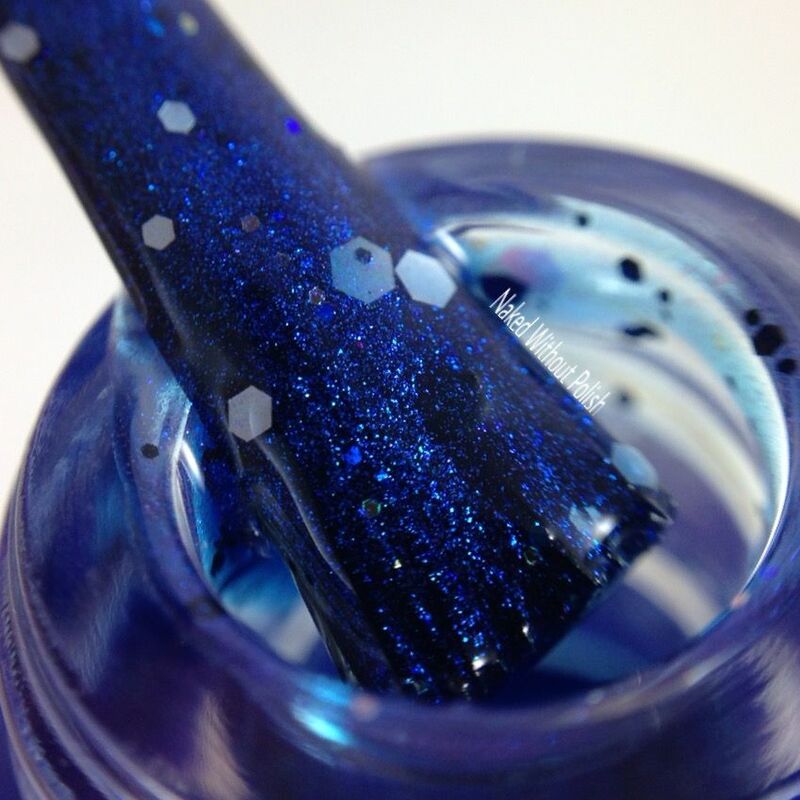 Shown is three coats of Scaramouch. 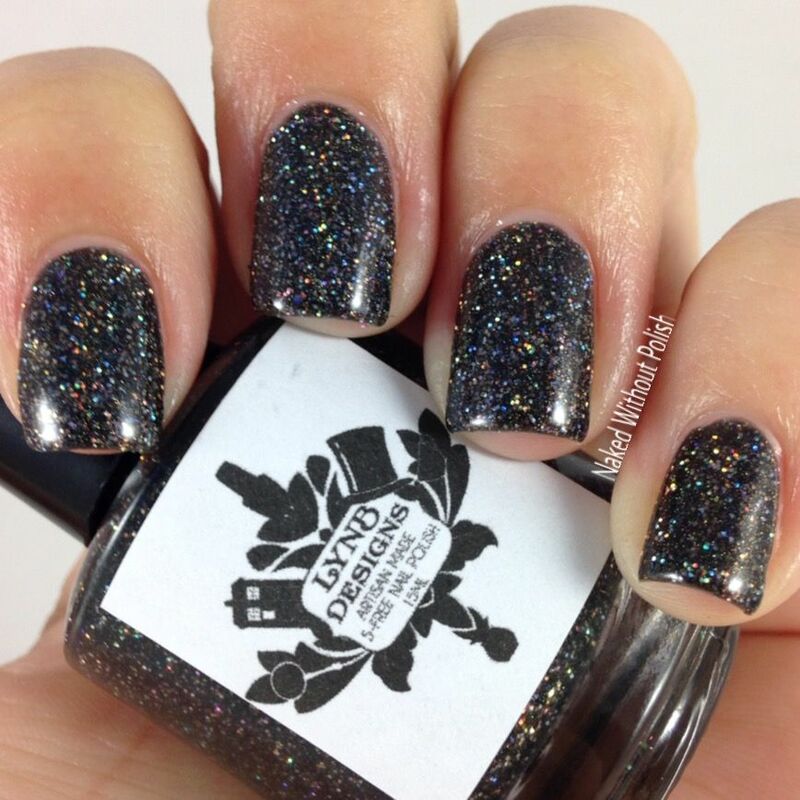 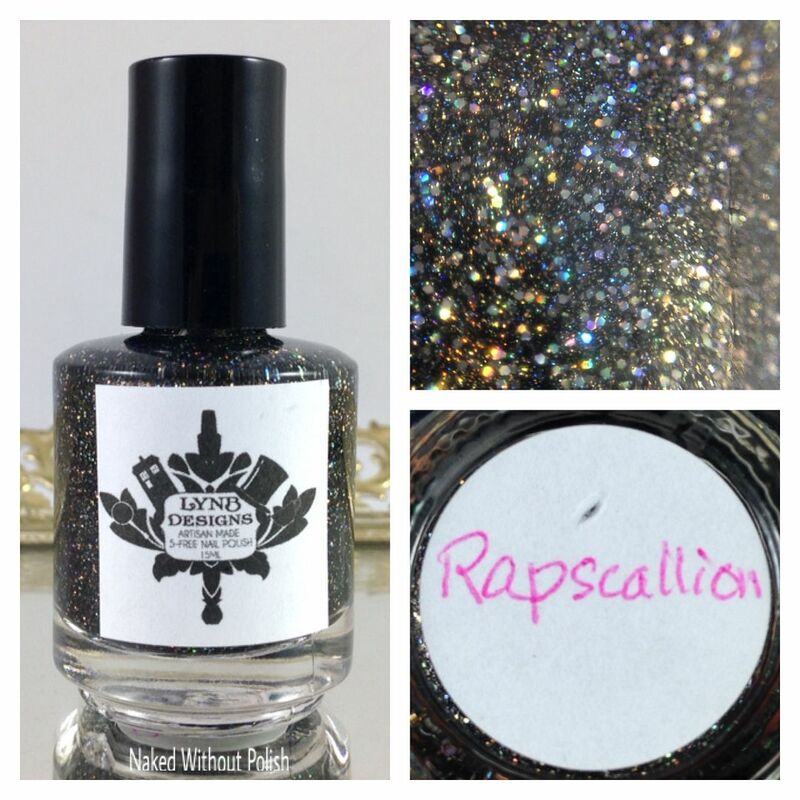 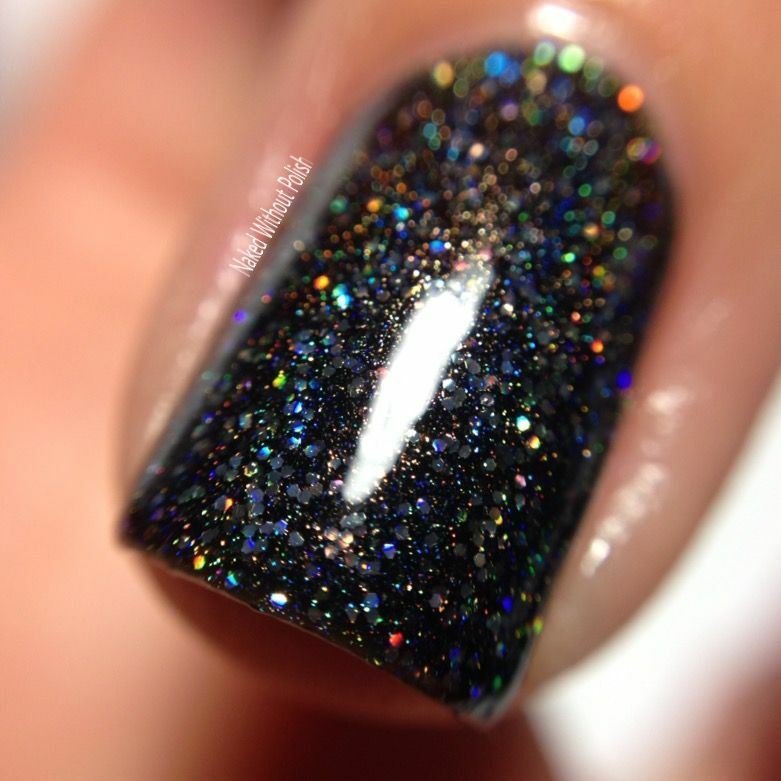 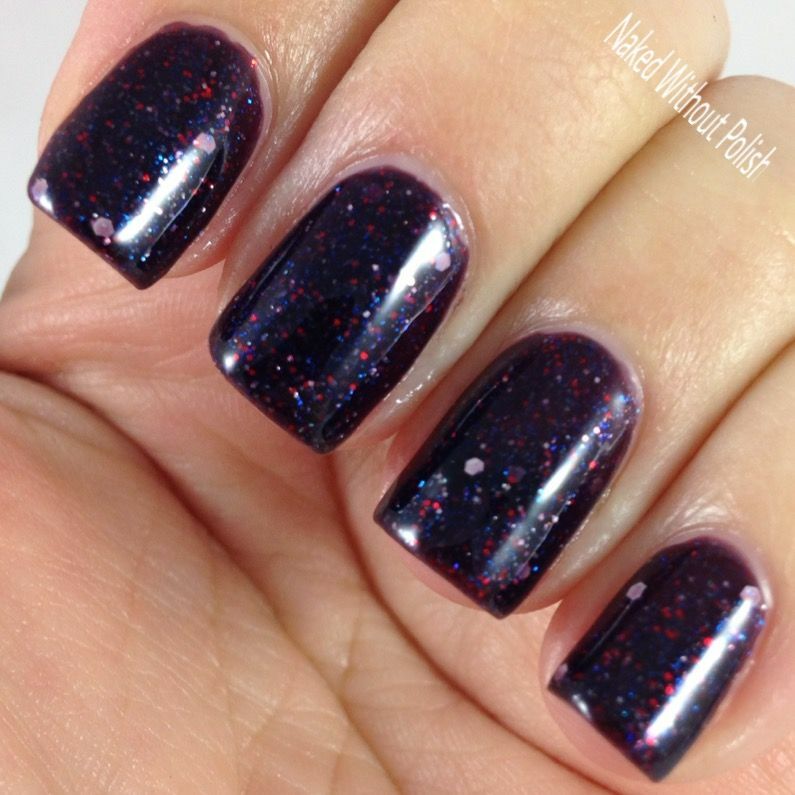 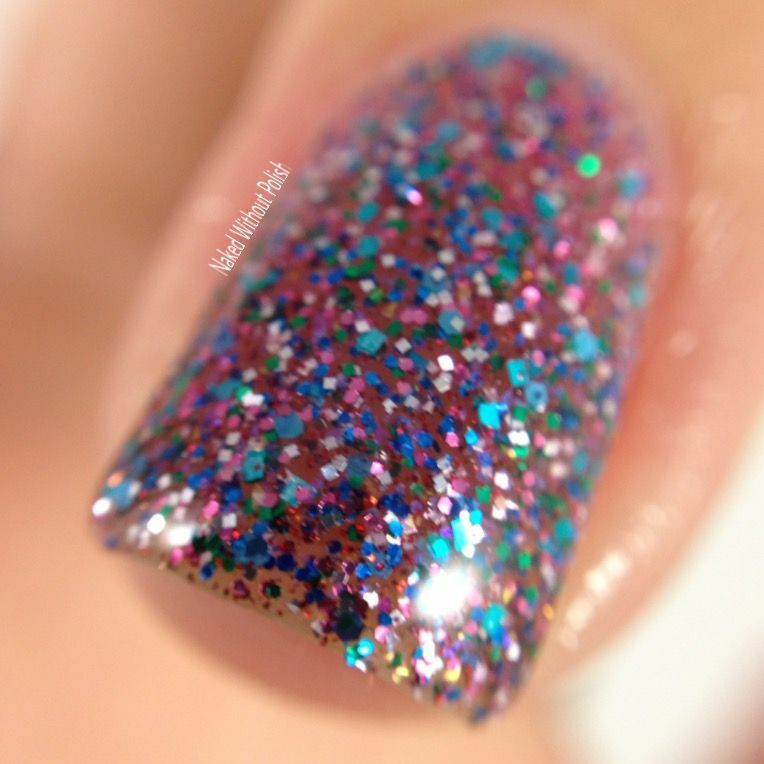 Rapscallion is described as "a black jelly base with silver Galaxy holo and linear holo". 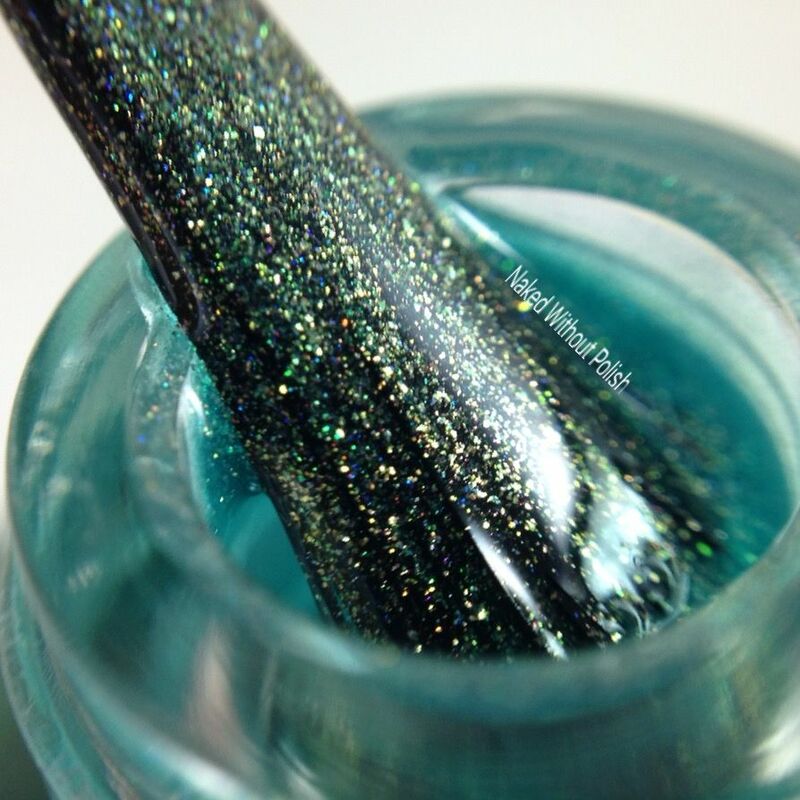 Shown is three coats of Rapscallion. 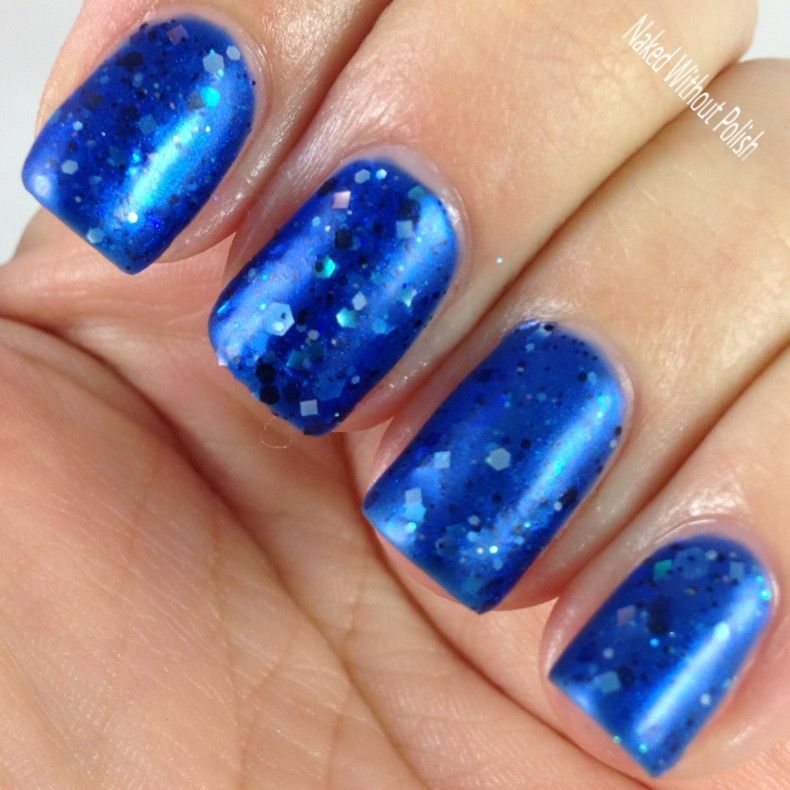 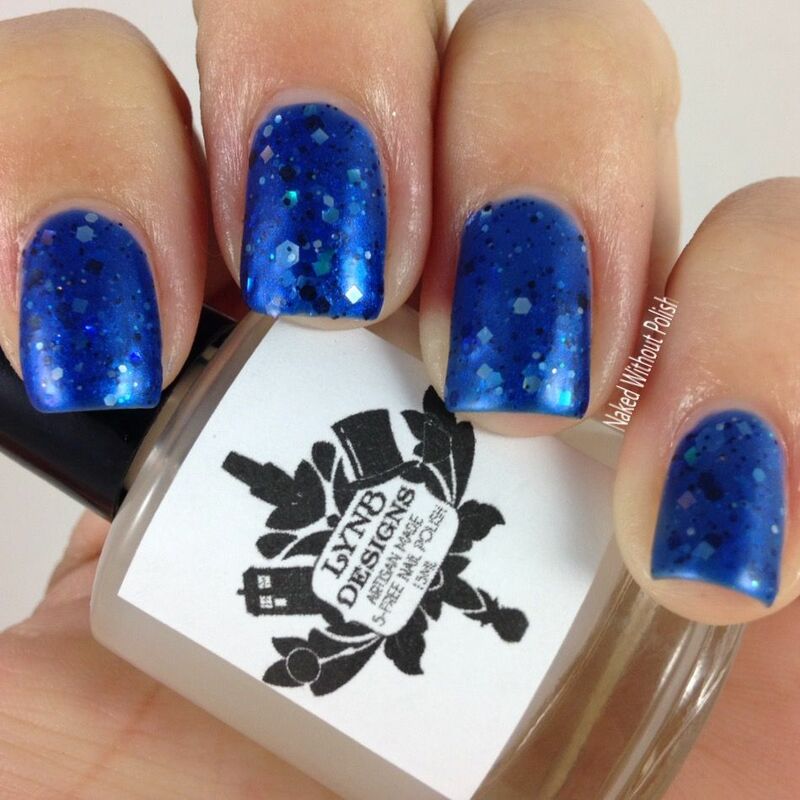 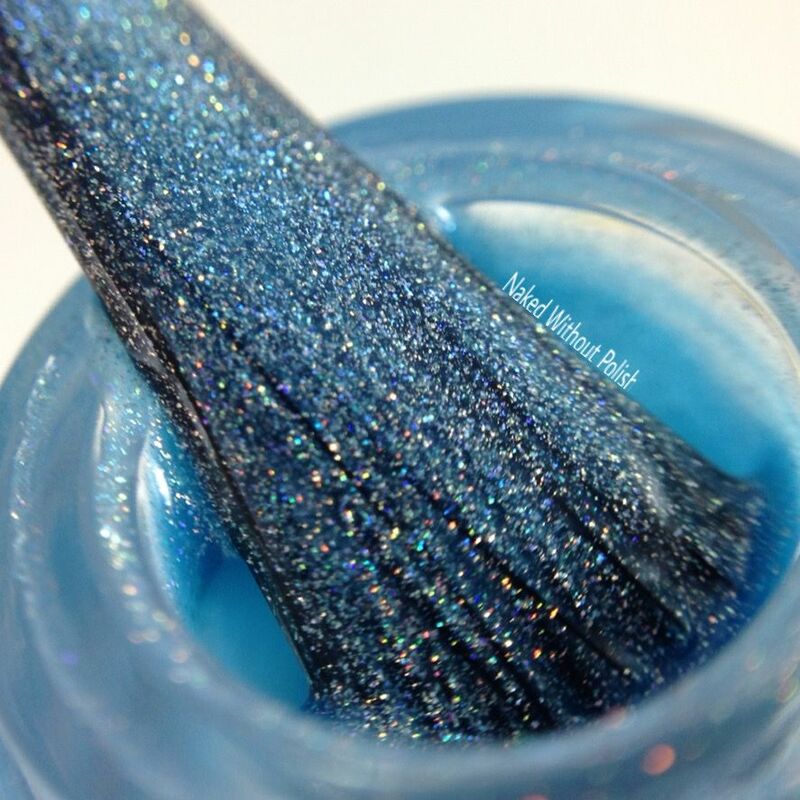 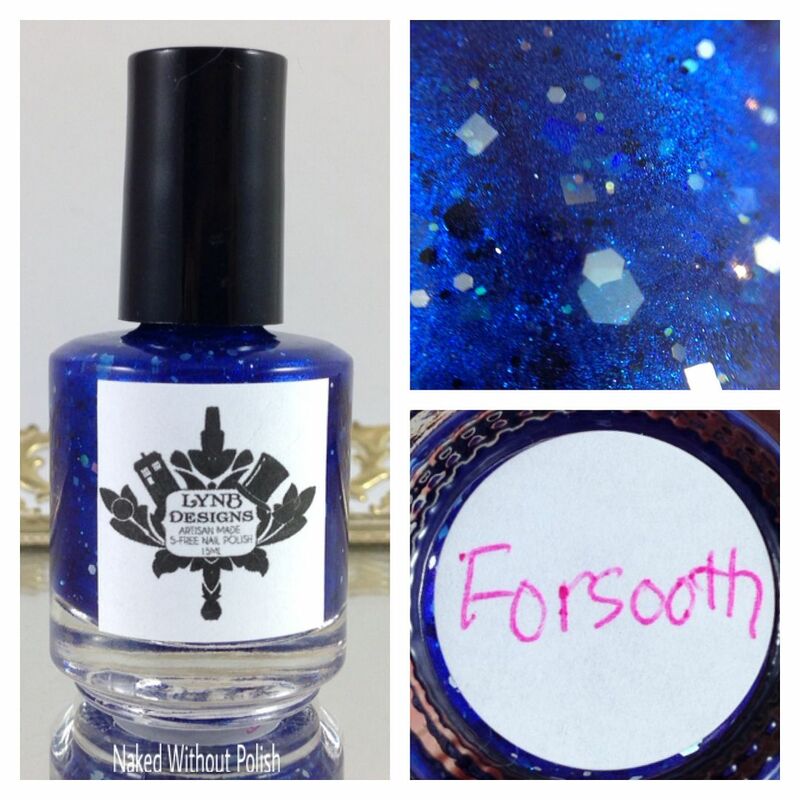 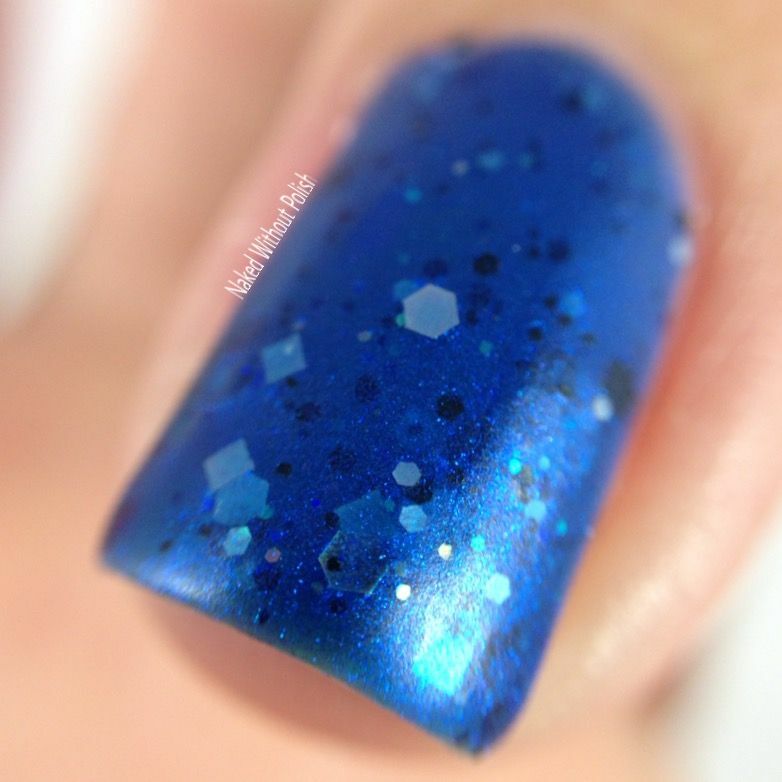 Forsooth is described as "a blue jelly base with blue shimmer, and black, white, and iridescent glitter in multiple shapes and sizes". 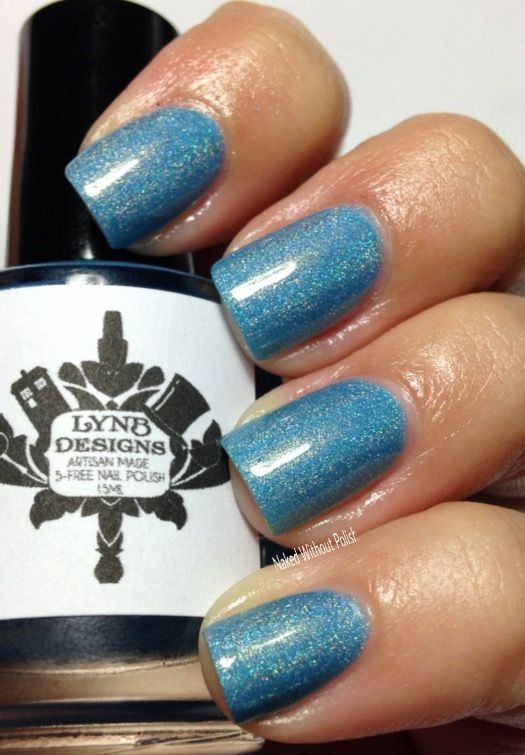 Shown is three coats of Forsooth. 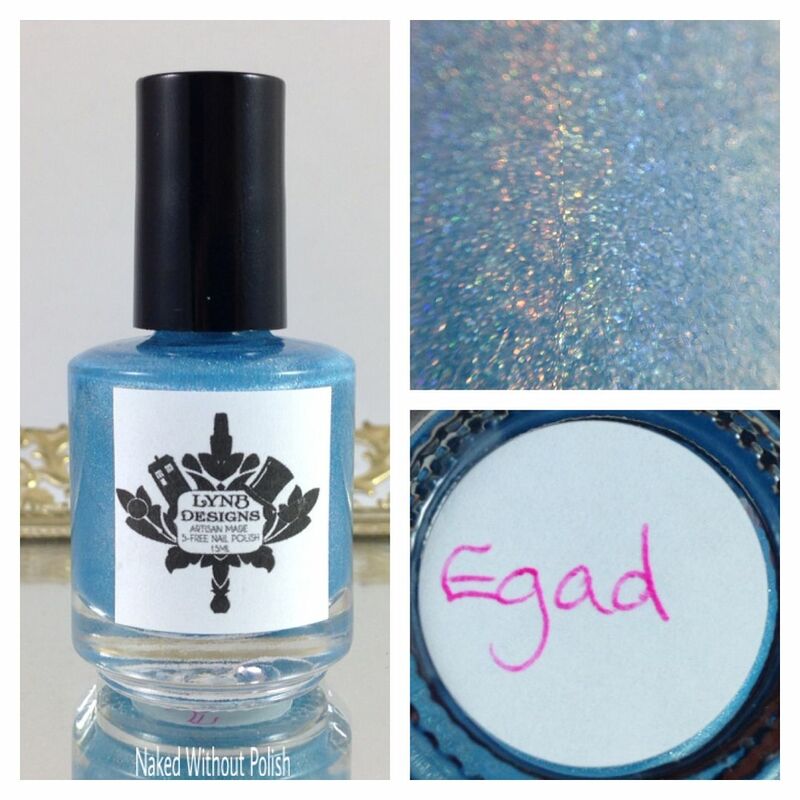 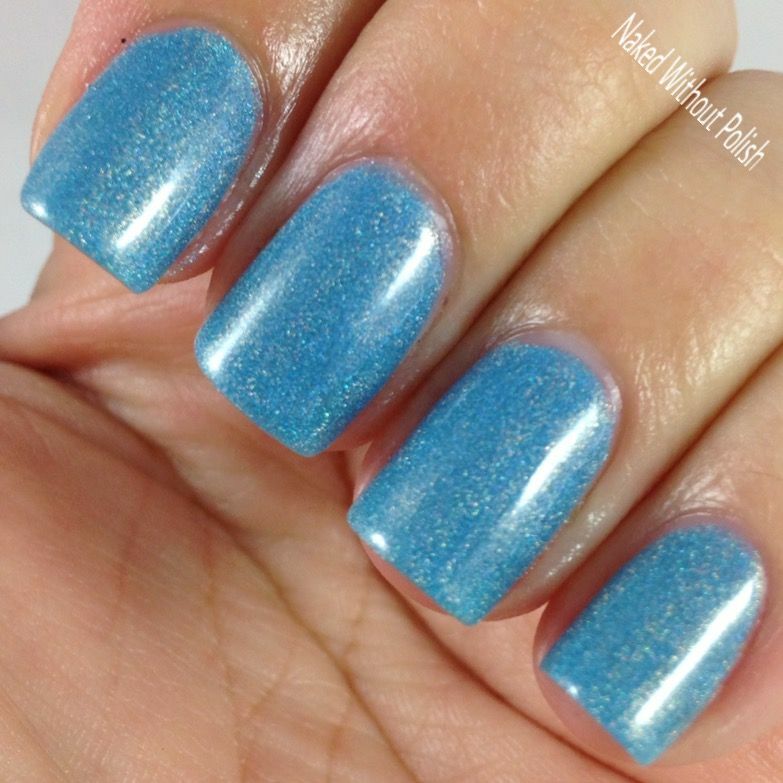 Egad is described as "a sky blue intense linear holo". 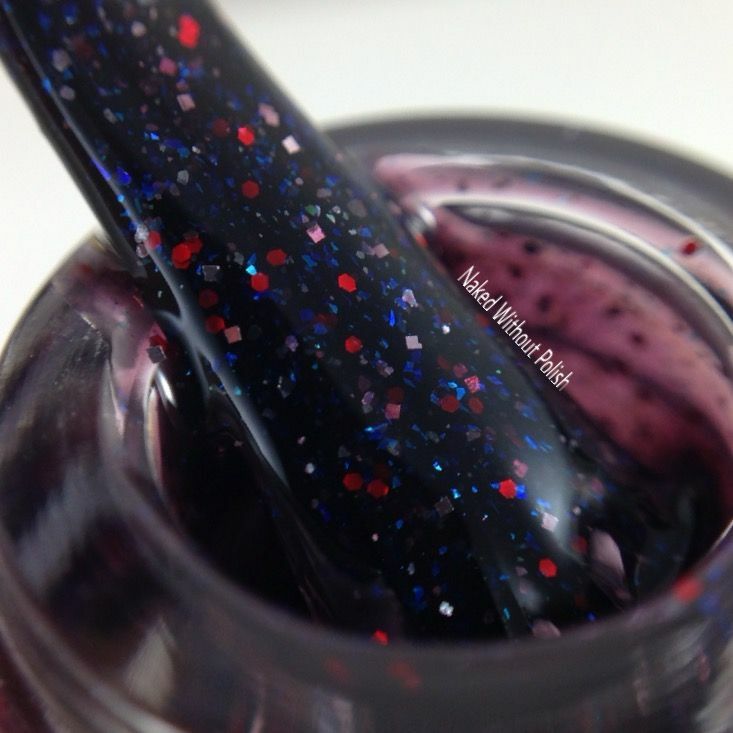 Shown is three coats of Egad. 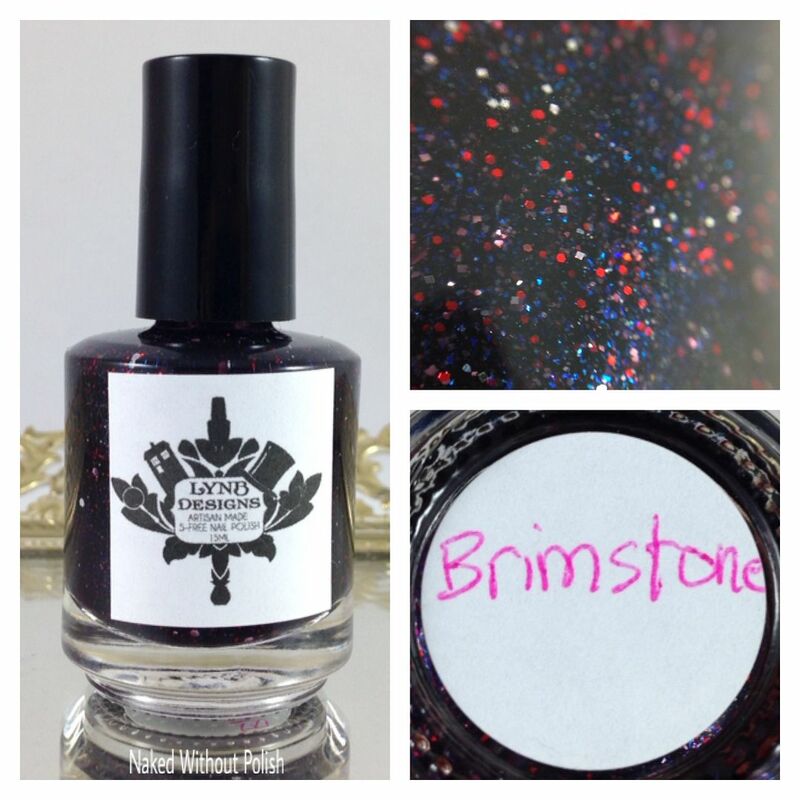 Brimstone is described as "a blackened red base with red and blue glitter, and gunmetal glass fleck". 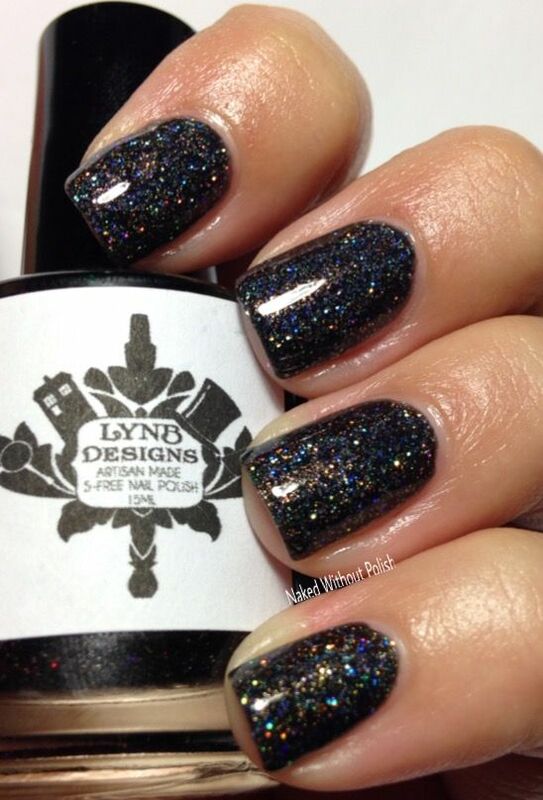 Shown is two coats of Brimstone. 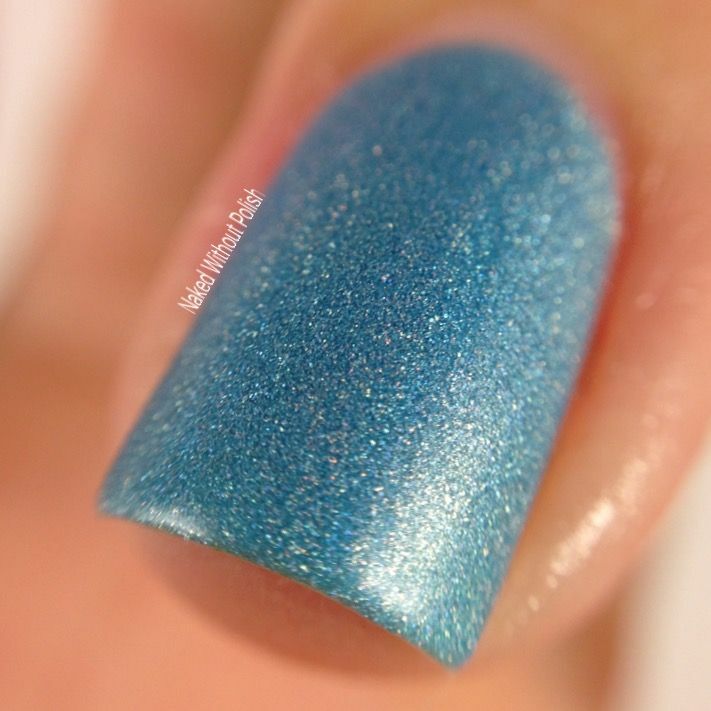 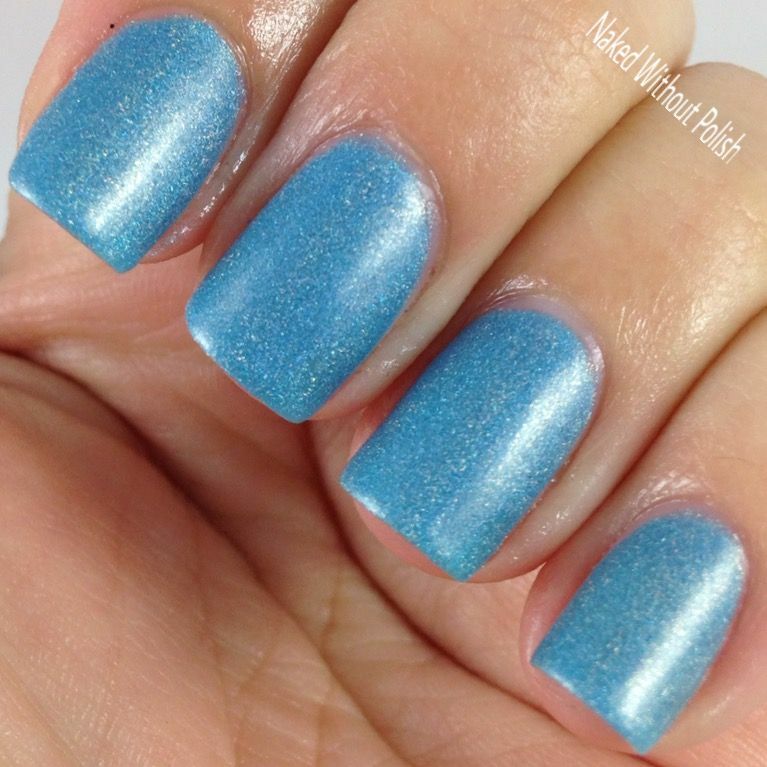 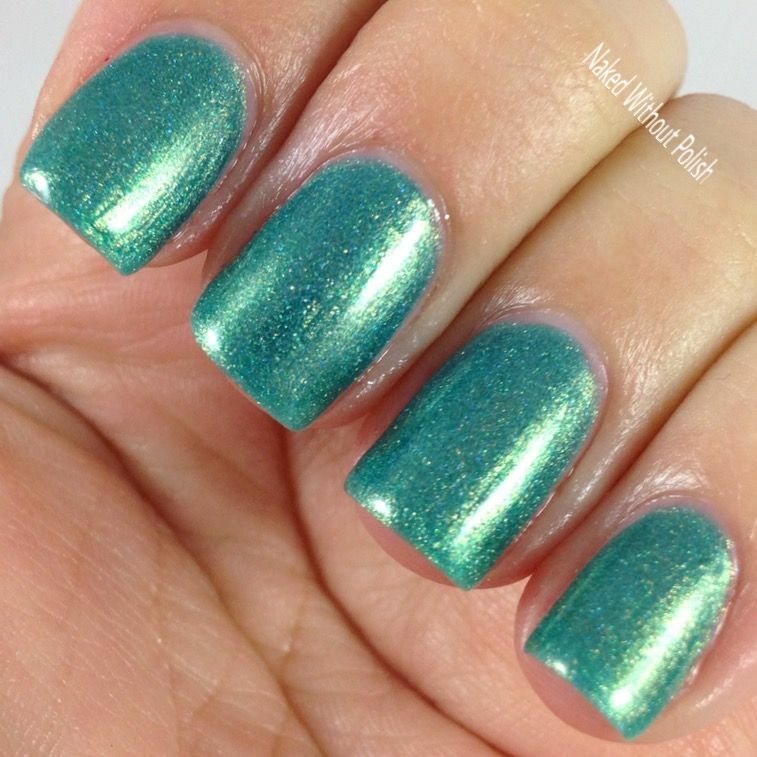 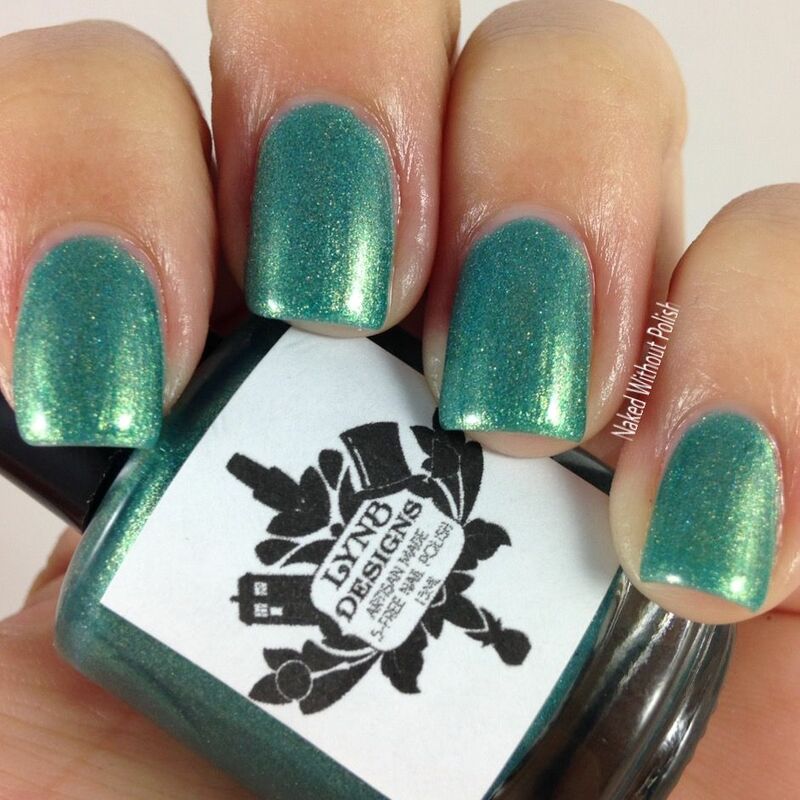 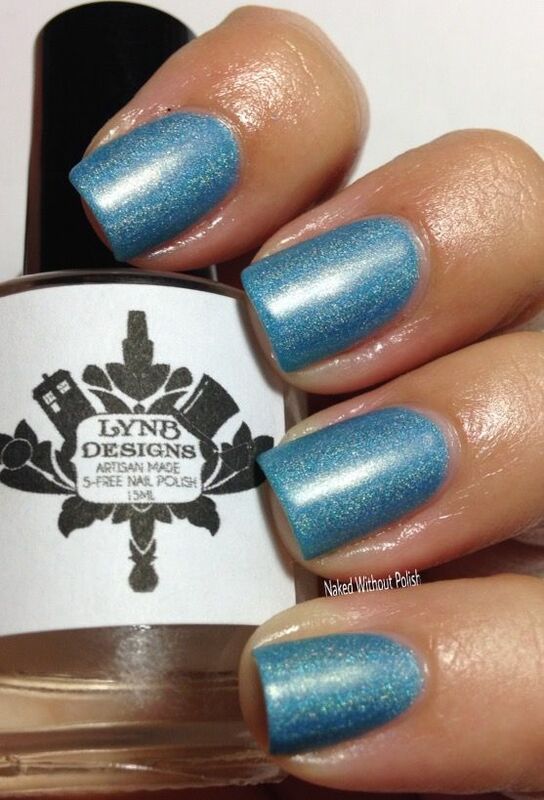 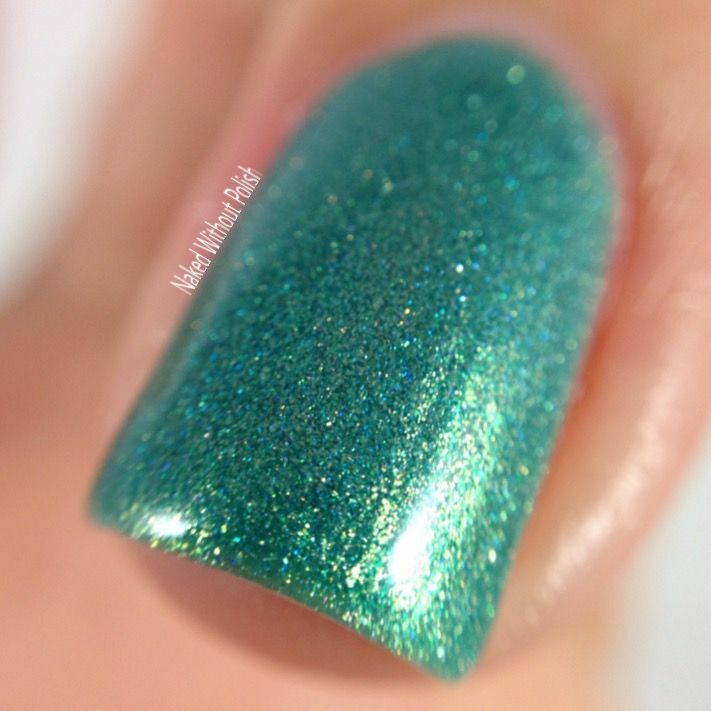 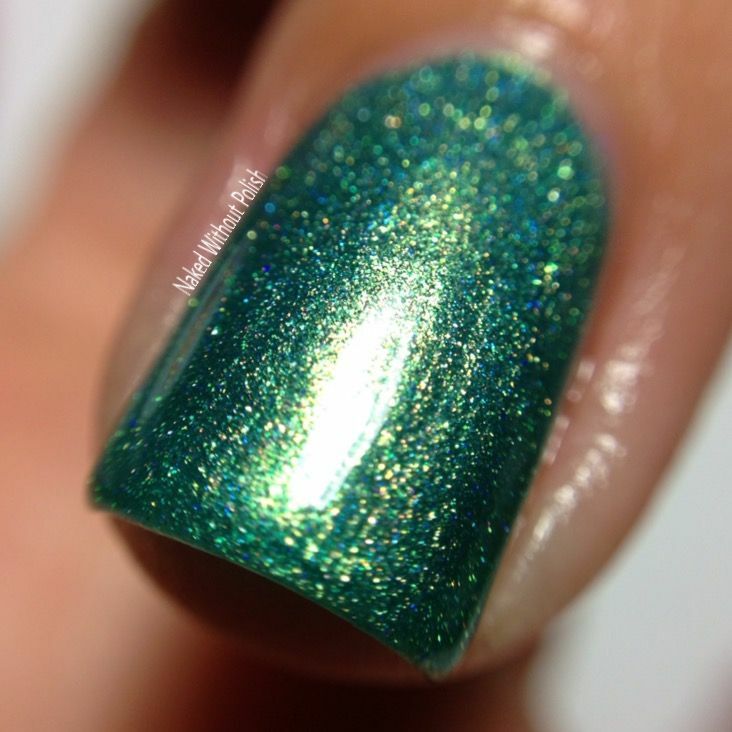 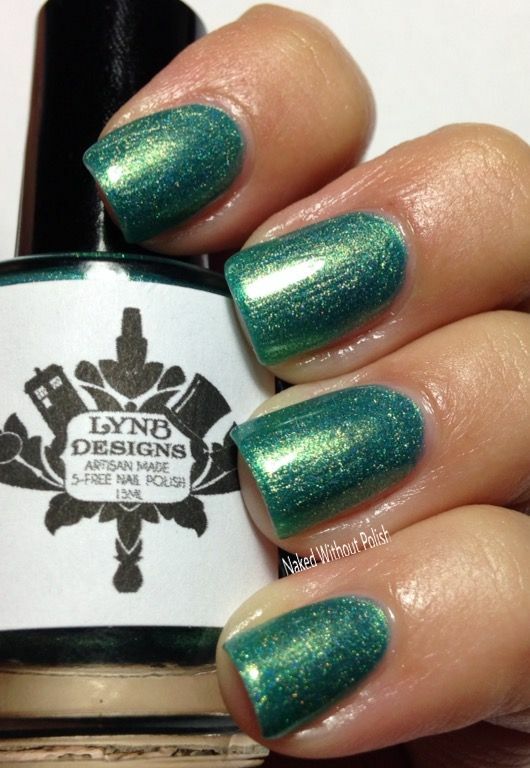 Verily is described as "a turquoise linear holo with golden shimmer". 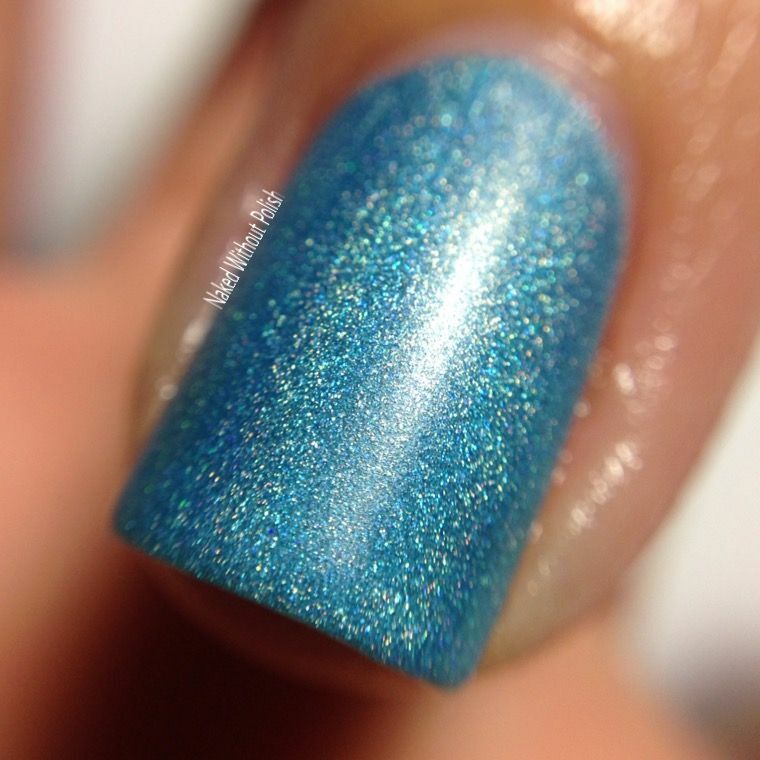 Shown is three coats of Verily. 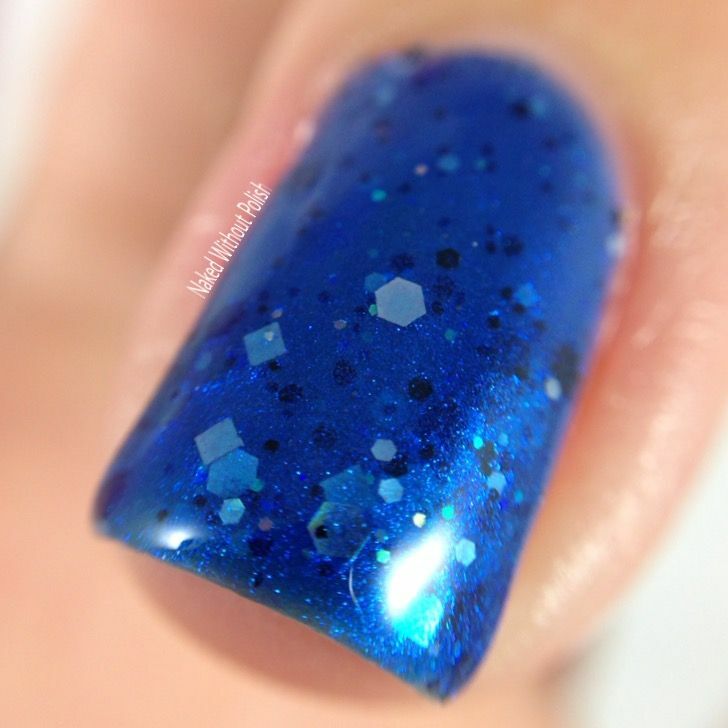 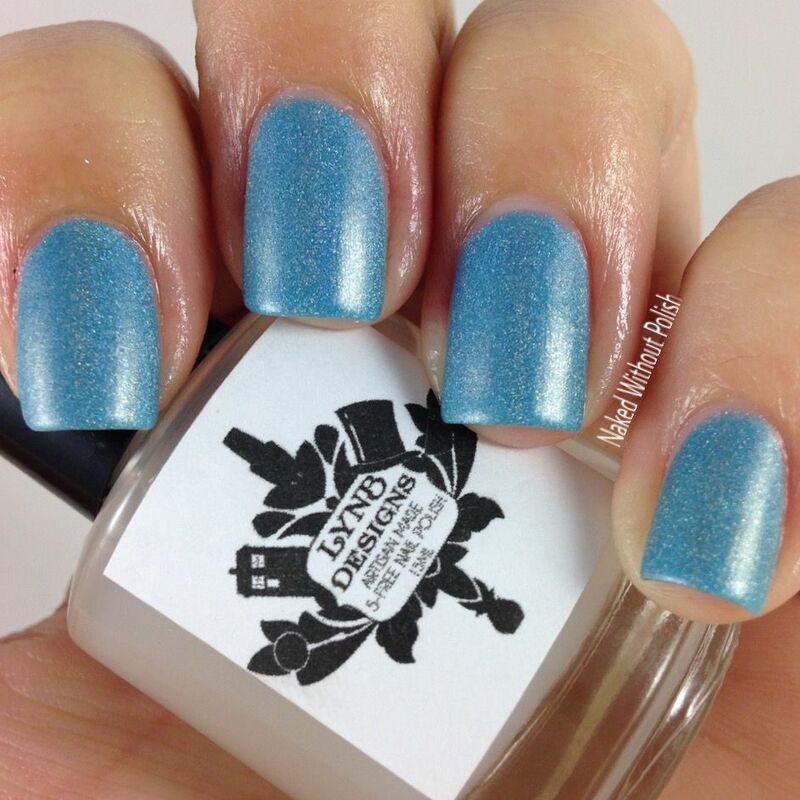 In addition to the Beautiful Mistakes and everything that I showed you on Monday, she is releasing a new top coat! 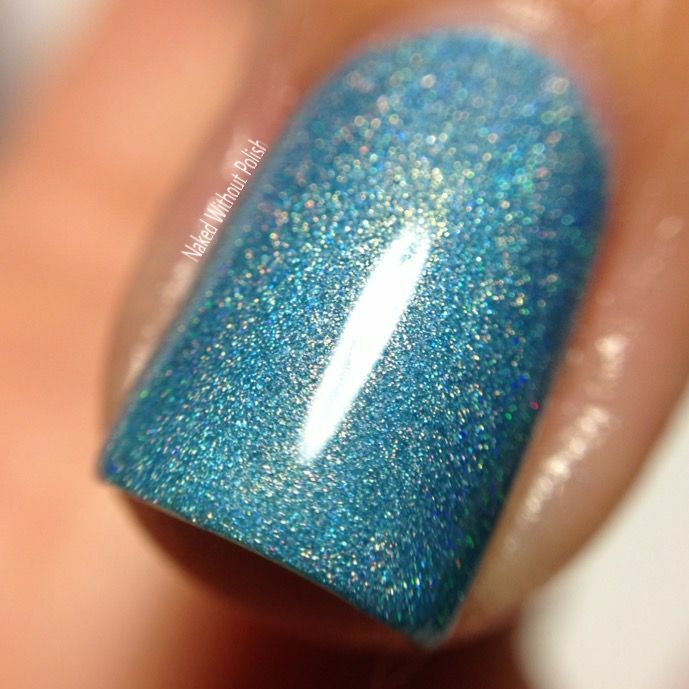 As you can see B-Flat is fantastic! 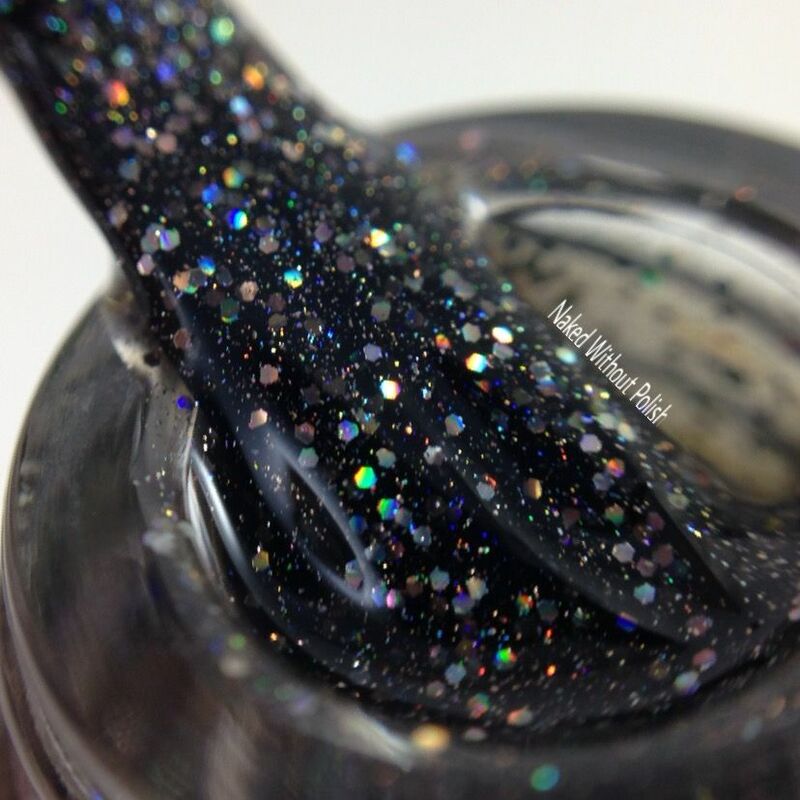 It will be available tonight at 7 pm EST for $6. 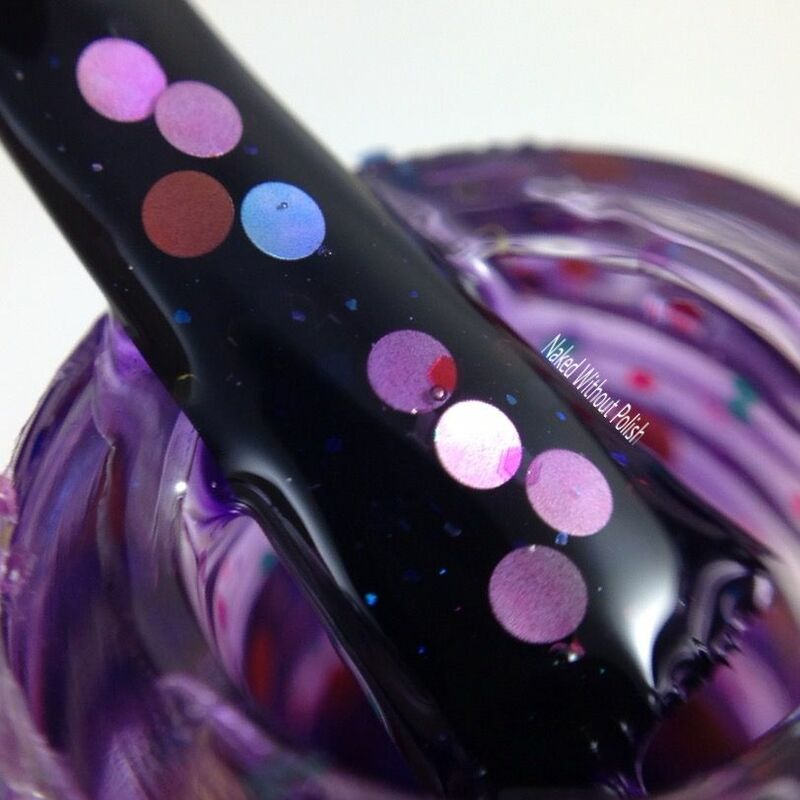 All the Beautiful Mistakes will be available for $5. 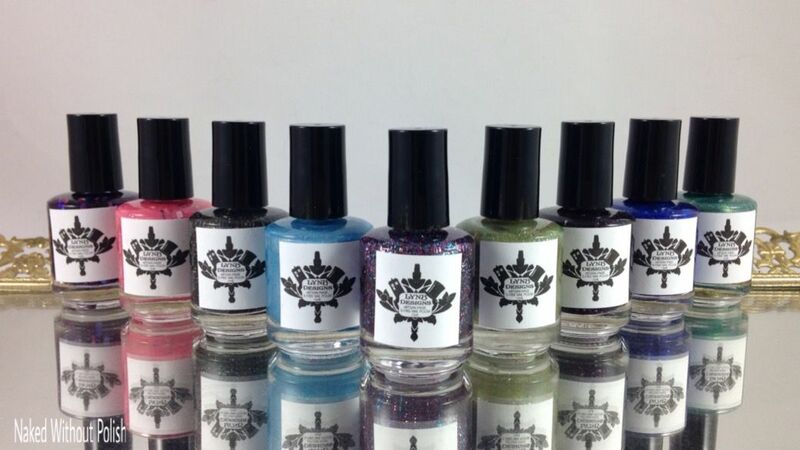 It's going to be a big night with all these goodies along with everything I showed you Monday. 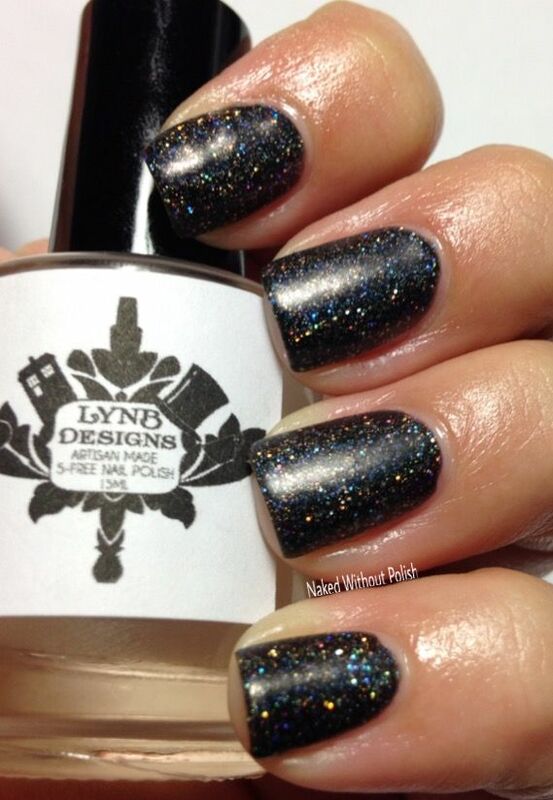 You can't go wrong with LynBDesigns! 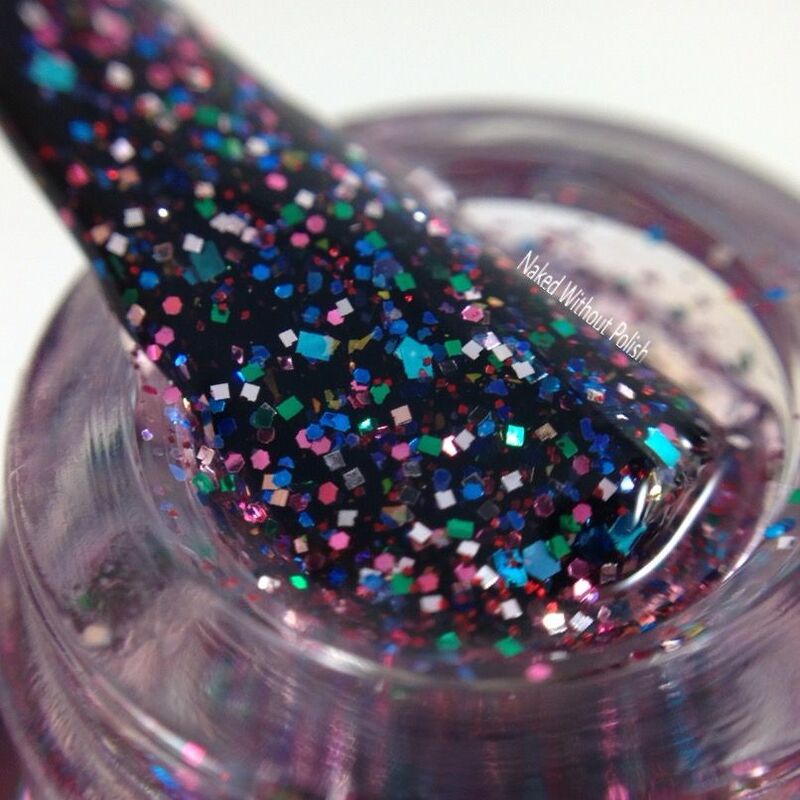 So many beauties at a wonderful price! 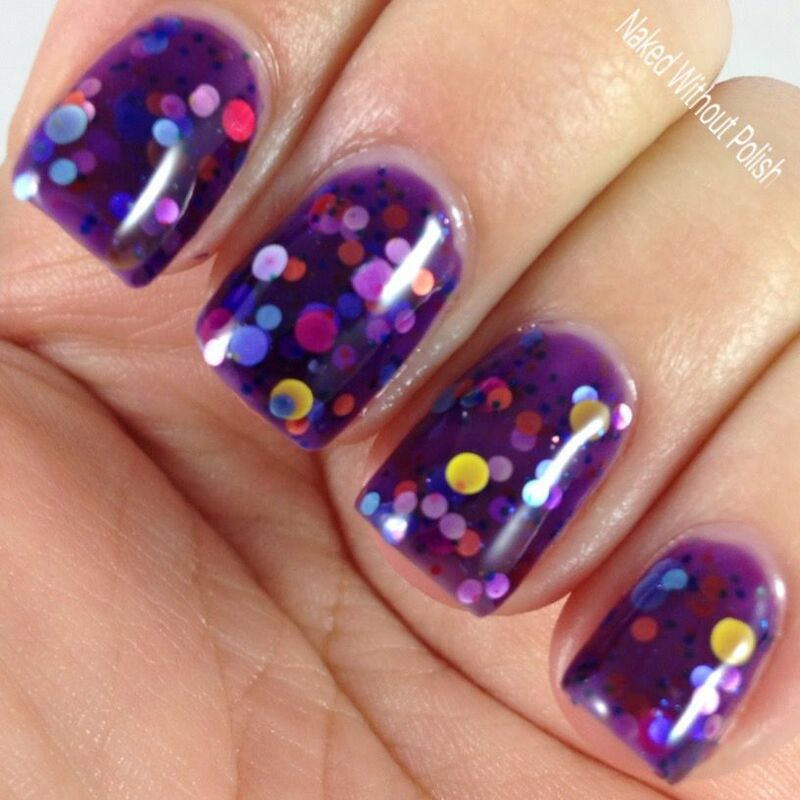 Any of these catch your eye? 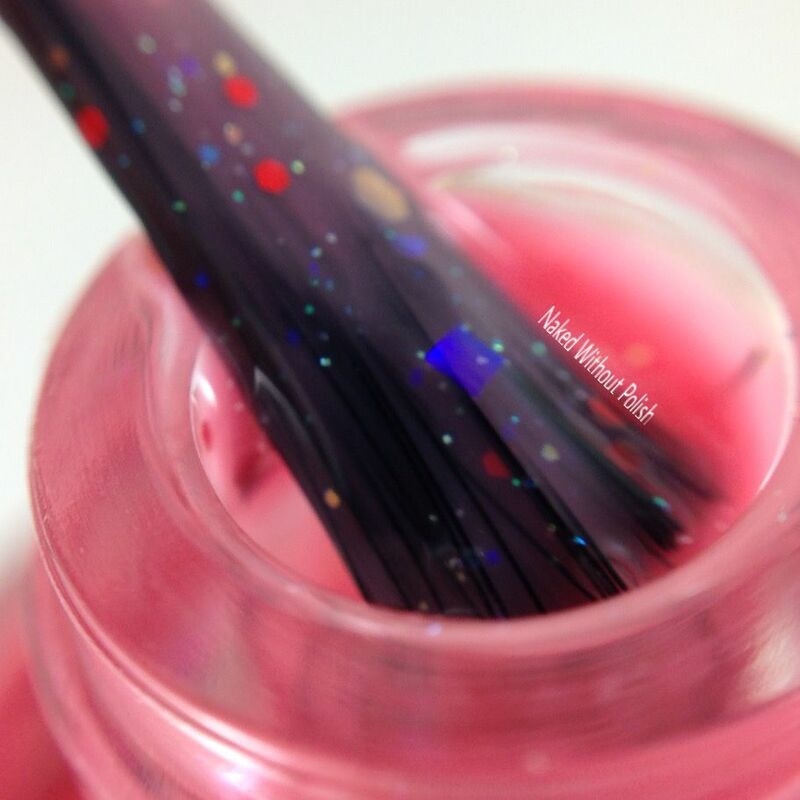 What's on your shopping list?